Green Fire Press, 9780986198038, 178pp. A Short Course in Happiness After Loss brings to us a powerful intersection of the science of positive psychology and the wisdom necessary to thrive when facing life's harshest moments. 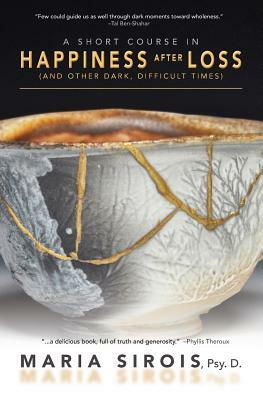 In poetic, compassionate and yet fearless language, Sirois traverses the territories we most fear--death, exile, disease--and carefully lights pathways toward a happiness that includes the scars of our suffering and the bounty and goodness present within our world. Her work offers each of us, no matter the trials of our lives, a template for rising through pain into a steady, resilient and open heart, one capable of facing sorrow and loving fully and laughing richly anyway. "Wise, real, and clear, this book offers a way into what we all have to do sooner or later--live alongside death."